The bus from Brno to Buchlovice left me off on the highway. For a moment I panicked. Where was the underpass? I found it quickly, though, and soon came upon the magical chateau that immediately captured my heart. I loved chateaus most of all. Massive, Gothic castles were impressive but also cold and intimidating while chateaus had an intimate quality and a fragility that spoke to me. 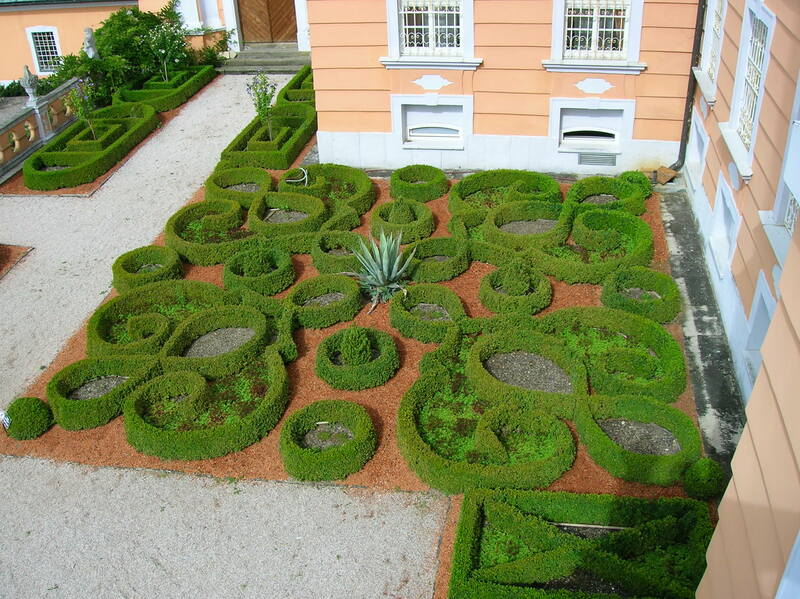 Buchlovice Chateau was composed of separate lower and upper sections shaped as semicircles. 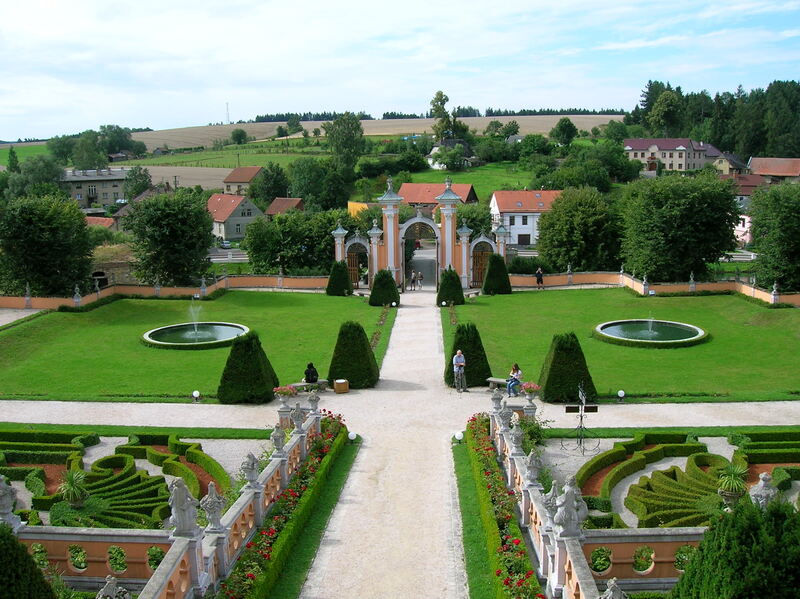 The chateau flaunted the Baroque style, resembling an Italian villa from that period. Crowned by a cupola, the lower part incorporated the main building with representative rooms. The upper building hosted temporary exhibitions and was home to offices. 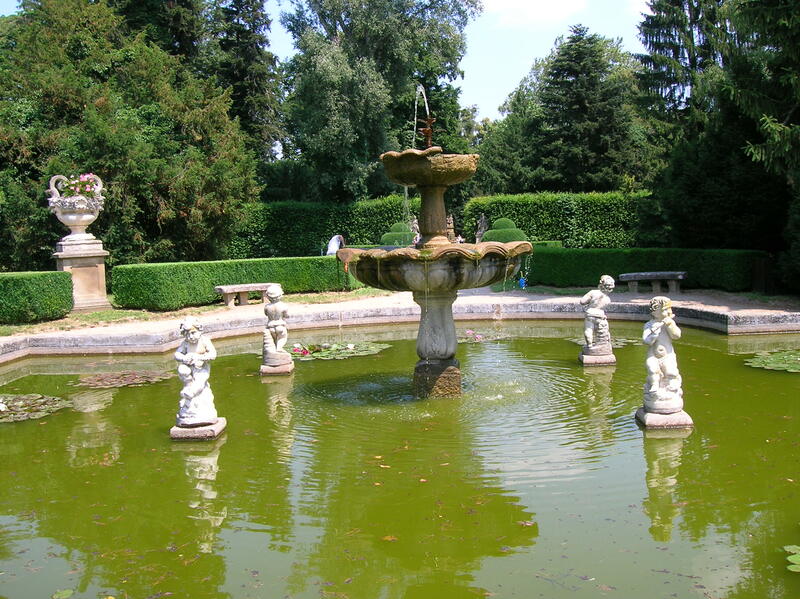 I also was eager to explore the beauty of the garden with its stunning statues and flower species I had read about. After I bought my ticket, I took a few snapshots of the lower chateau and the fountain with an obelisk in the middle, situated in the courtyard. Then I joined the group of about 15 people on this sunny day in early July. 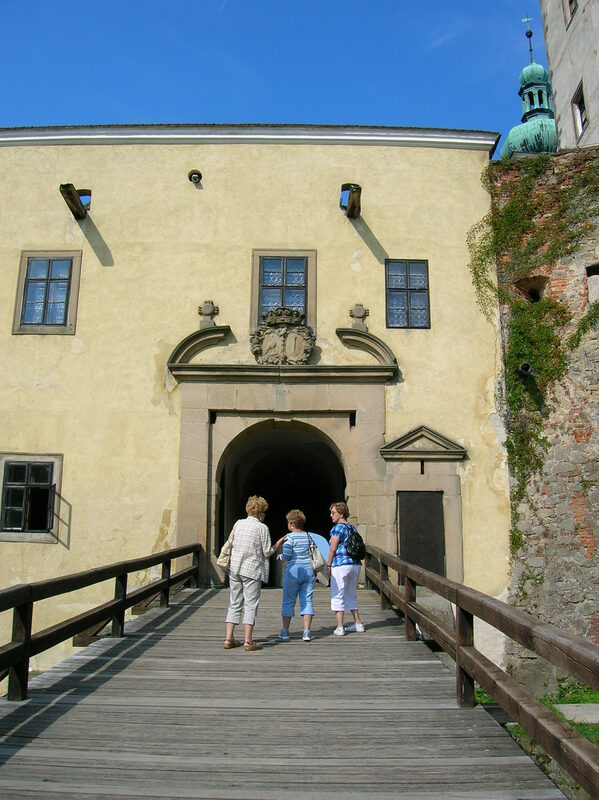 Buchlovice was built in the first half of the 18th century by Jan Dětřich of Petřvald for his wife Anežka Eleanora of Colonna-Fels. The Petřvalds owned nearby Buchlov Castle, too. Even in those days the lower chateau had been the most important structure, and back then the upper chateau had served as a farmstead. 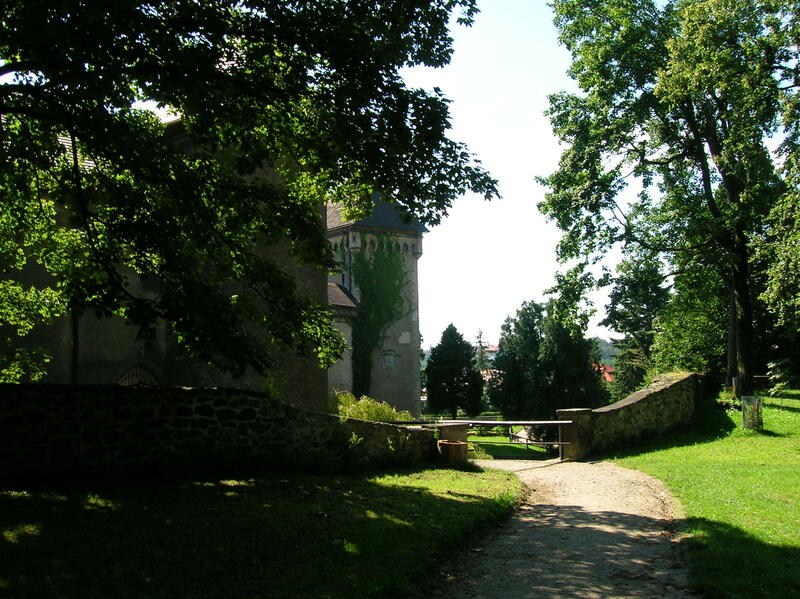 After the Petřvalds, the Bertcholds gained the property, along with Buchlov Castle. 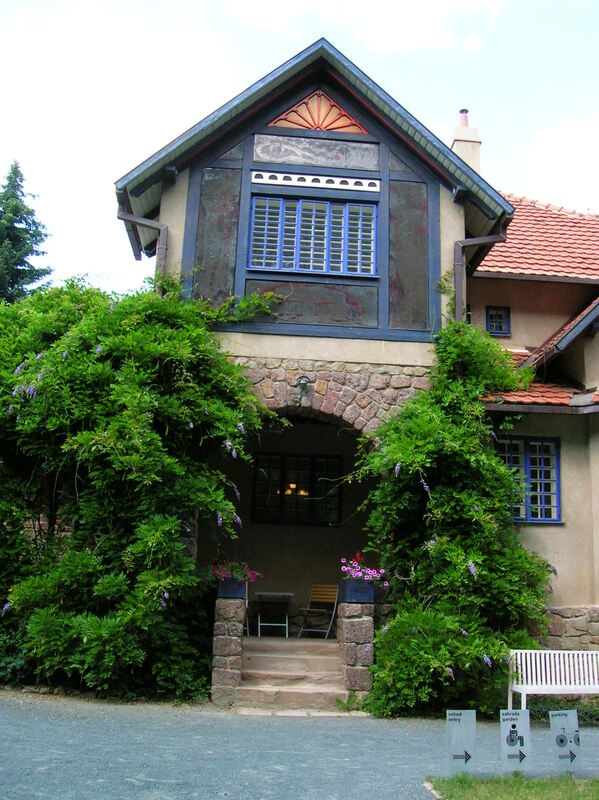 The chateau was renovated in the 1920s. 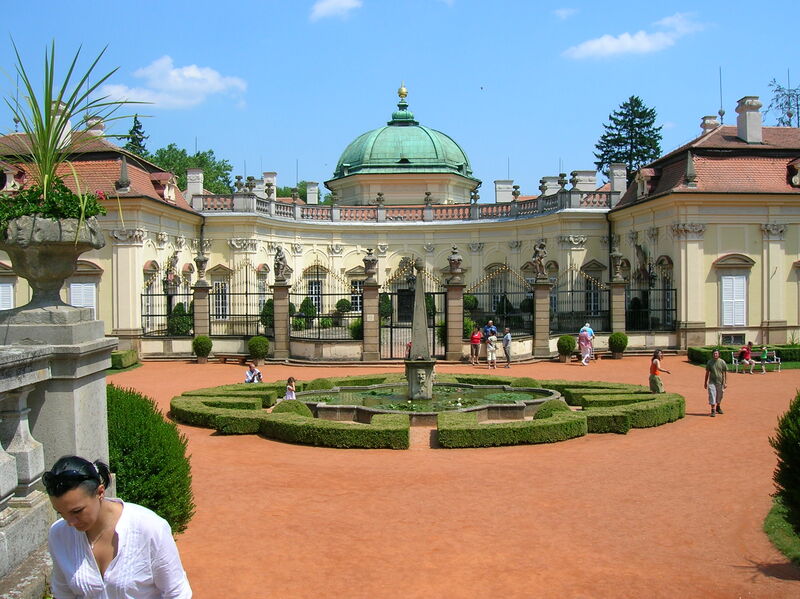 The Bertcholds held on to it until 1945, when the estate was nationalized under the so-called Beneš decrees that made it state property. The decrees stated that Germans, Nazi collaborators, traitors and others living in Czechoslovakia had to relinquish their Czechoslovak citizenship and property without compensation. The guide did not specify the reason why the Berchtolds had to give up Buchlovice, but I assumed it was because they had had German citizenship. 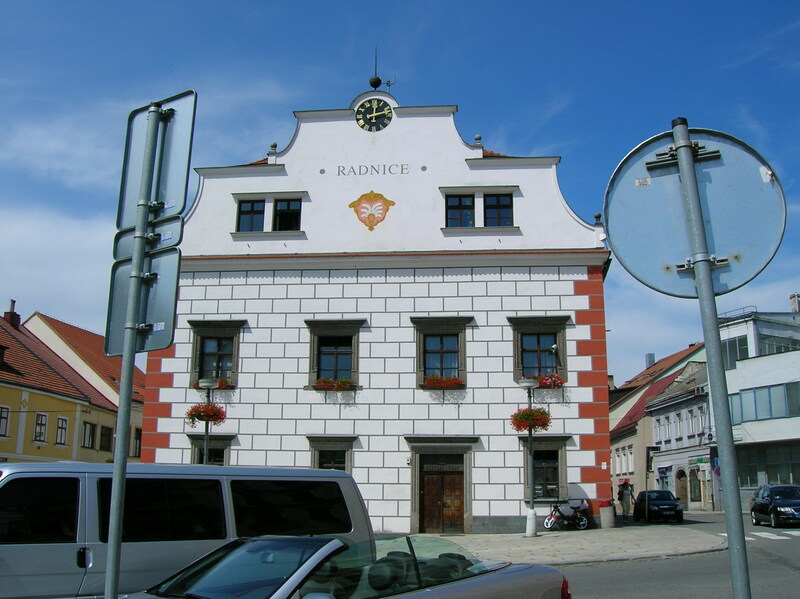 Buchlovice was the seat of a significant meeting in European history at the beginning of the 20th century when the Czech lands belonged to the Austro-Hungarian Empire. Alois Lexa of Aehrenthal, the Austrian-Hungarian Minister of Foreign Affairs, met with Alexander Petrovich Izvolskii, the Minister of Foreign Affairs for Russia. Leopold II Berchtold, as Austrian-Hungarian envoy in St. Petersburg, persuaded them to hold the talk there. The two discussed the political turmoil in the Balkans, especially the push for independence of non-Turkish nationalities under Turkish rule. Neither politician wanted war. The Austro-Hungarian Empire aimed to annex Bosnia and Herzegovina while the Russians wanted their ships to be able to travel freely through the Dardanelles. However, Aehrenthal did not confer with the Council of the Empire in Vienna on the annexation issue of Bosnia and Herzegovina along with the Russian considerations. Emperor Franz Joseph I announced the annexation of Bosnia and Herzegovina during October of 1908. As I entered the first room on the tour, I was dazzled by the delicate color scheme, exquisite furnishings and sense of intimacy. I felt as if I were stepping into the distant past, into someone’s home. I almost expected a member of the Petřvalds or Bertcholds to enter the space. The canopy bed captured my attention. 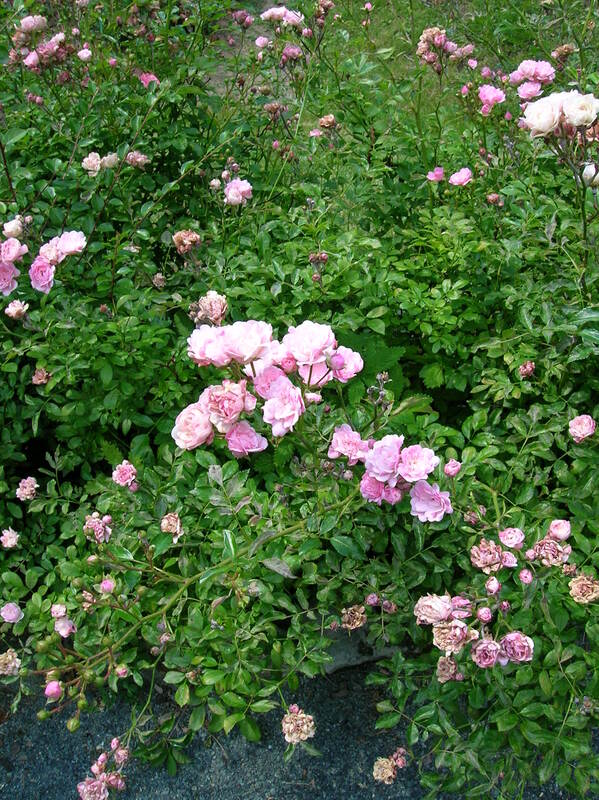 The canopy was decorated in a pleasing pink, brown and white floral design. The wallpaper was stunning and cheerful, too, featuring pink flowers. A 17th century jewelry box from Spain had a special compartment for love letters. I wondered who had written to whom, and what exactly had been discussed in that correspondence. Did the recipient wind up marrying the writer? Or were the letters full of passionate goodbyes or passionate dreams that would never be realized? Left with those thoughts, I continued to the Small Dining Room which featured Rococo furnishings. Even though it was lavish, I liked the flamboyancy and playfulness of the Rococo style. Yet I also appreciated Gothic and Renaissance styles, so strikingly different from Rococo. There was one unique object in the room. It was a small car that looked like a wheelchair with a steering wheel and headlights. I wondered if children played in it or if adults used it to get from room to room. In one bedroom a painting of Madonna and Child proved a copy of a work by Raphael. The furniture was Baroque. I loved the pink and white theme in the children’s bedroom. The wallpaper featuring pink ribbons on a white background was exquisite. The Silver Salon featured silver on the wood paneling. Bright yellow furnishings brought cheer to the room. In a side room the motif of a peacock decorated the furniture. The oval Music Hall was stunning with its frescoes. The room had two storeys divided by a gallery with gold-plated metal railings. The walls and cupola featured stucco decoration. The elliptical ceiling fresco showed the genius of the arts presenting the completed castle to Anežka, Jan Dětřich’s wife. Fortune showers her with flowers. At the top of the cupola were allegories of the personality characteristics of Anežka – justice, innocence, fortitude and love of the arts. The frescoes of the four seasons were breathtaking, too. Then there were the four allegories of the elements. I was drawn to the angry, tall waves in the fresco depicting the allegory of water. I also noticed polychrome coats-of-arms and Corinthian columns in the majestic space. 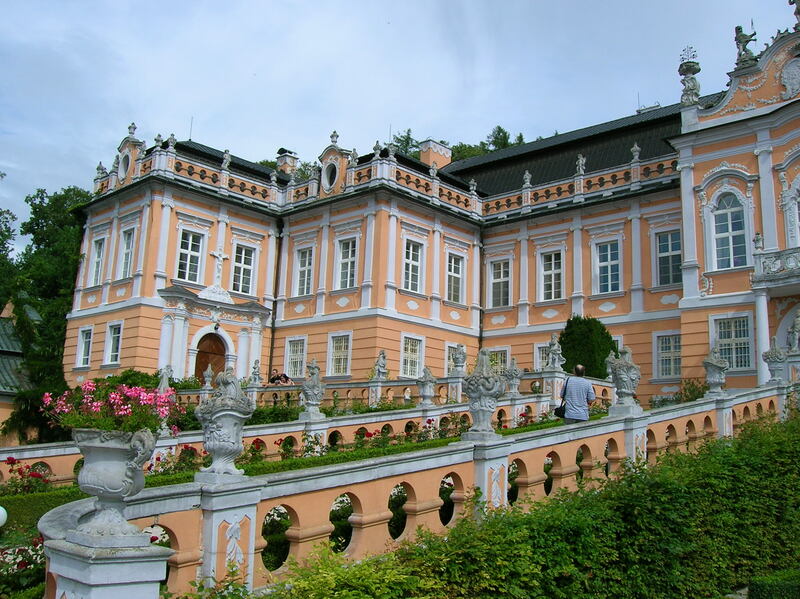 In the library that housed Frantisek Palacký’s The History of the Czech Nation in Bohemia and Moravia as well as English, German and French books, I noticed a painting of Buchlov Castle above elaborate gold frames of portraits. I would visit Gothic Buchlov after wandering through the garden here. I knew it would be a totally different experience than the tour of this Baroque chateau. The Big Dining Room featured red chairs with Hungarian porcelain. Two large, colorful Asian vases caught my eye. The chapel housed the oldest paintings in the chateau, dating from around 1600, and white stucco on the walls and ceiling. On the second floor I was enthralled by the bedroom of Leopold II Berchtold as the space was decorated in Napoleon style with the bed covered by what looked like a military tent. The guide mentioned that Buchlovice was also home to an impressive collection of graphic art of the 16th to 19th centuries with 6,378 artworks. These renditions were situated in the depository, which was not part of the tour. 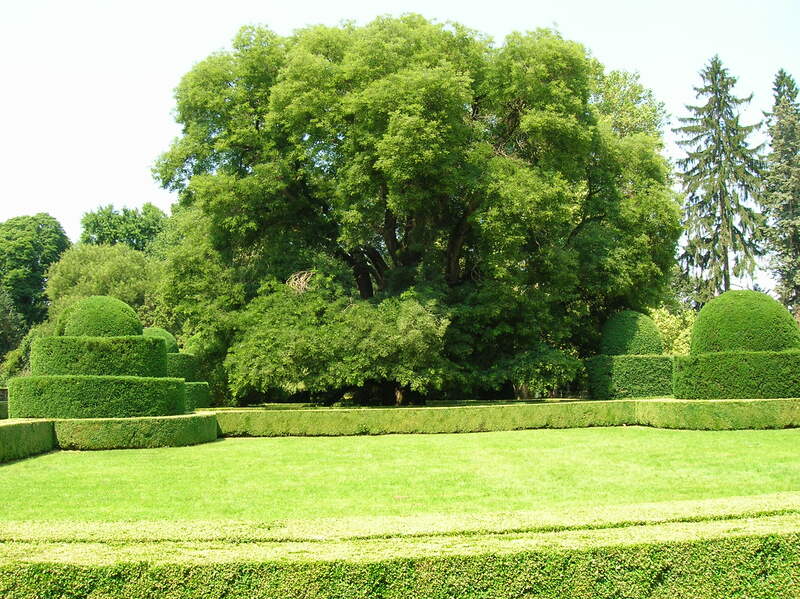 Now it was time to explore the English style garden, created at the beginning of the 18th century. 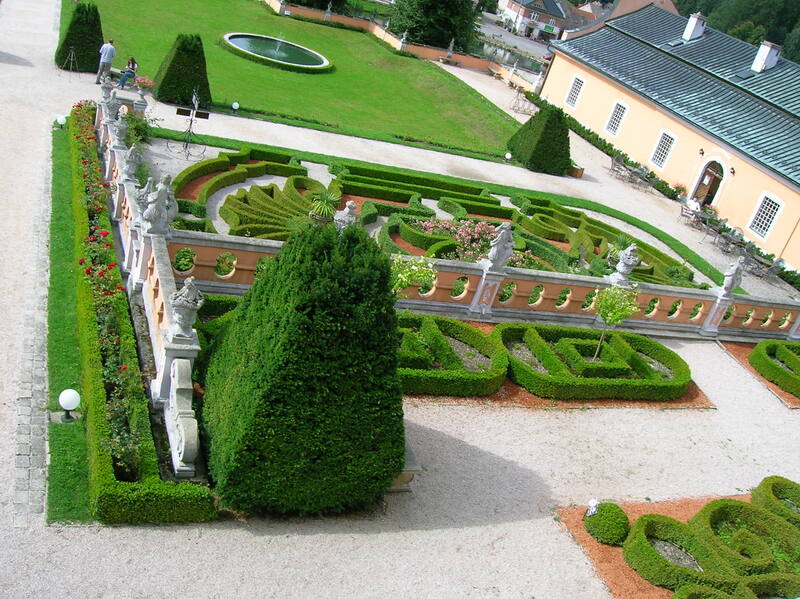 Sloping from west to east, the garden was divided into terraces. A bridge over a stream led to a large stairway with a vase-bearing balustrade. 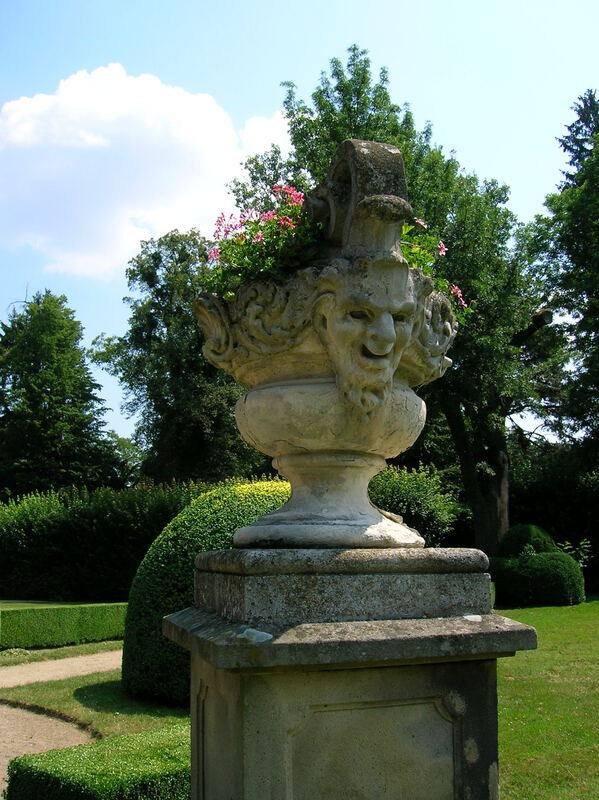 On the lower terrace I saw four statues of musicians and vases with masks of satyrs. 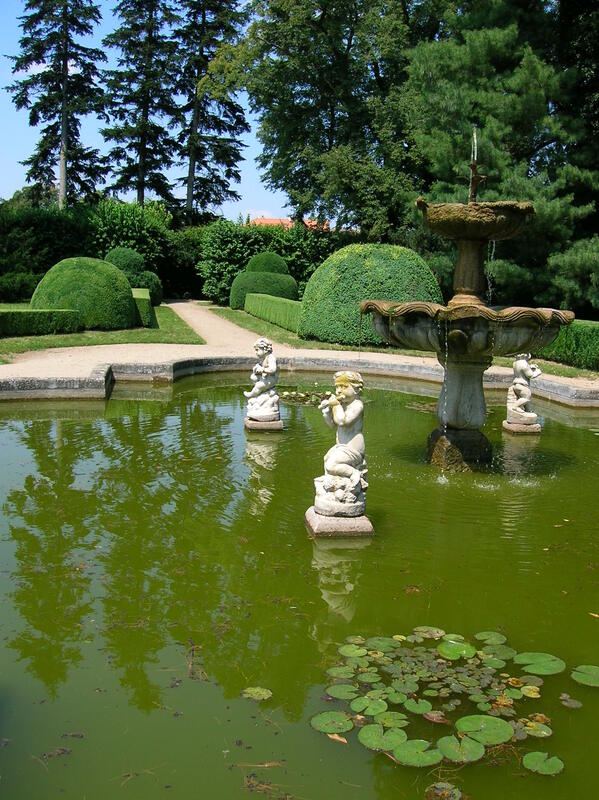 Four statues featuring allegories of the continents also called the garden home. More than 800 species and varieties of fuchsias and numerous rhododendrons were also grown in the garden that contained exotic and rare woody species. 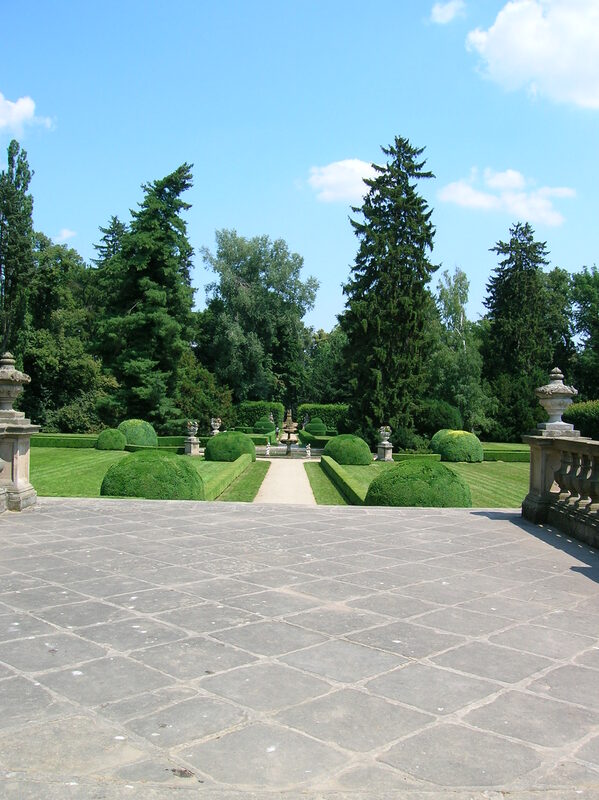 After a walk through the impressive garden terraces, I was eager to make my way to Buchlov. Peering at my watch, I wondered if I had enough time to walk through the forest paths to the Gothic gem and make the tour in time to return to Buchlovice for the bus back to Brno. I had wanted to walk through the forest from Buchlovice Chateau to Buchlov Castle, but I did not have enough time before my bus back to Brno left from Buchlovice. I went to the information office and asked if there was any way I could get to Buchlov and have enough time for the 90-minute tour. The young, blond woman suggested I call a local man who gives rides back and forth. Since the information office recommended him, I thought it would be safe. The stout, bearded man came within 10 minutes, and soon massive, Gothic Buchlov loomed above me, overpowering me with its sheer size and strength. First, the guide, a lanky man wearing a T-shirt that pictured the castle, explained that the history of Buchlov went all the way back to around 1300, when it was first mentioned in writing. 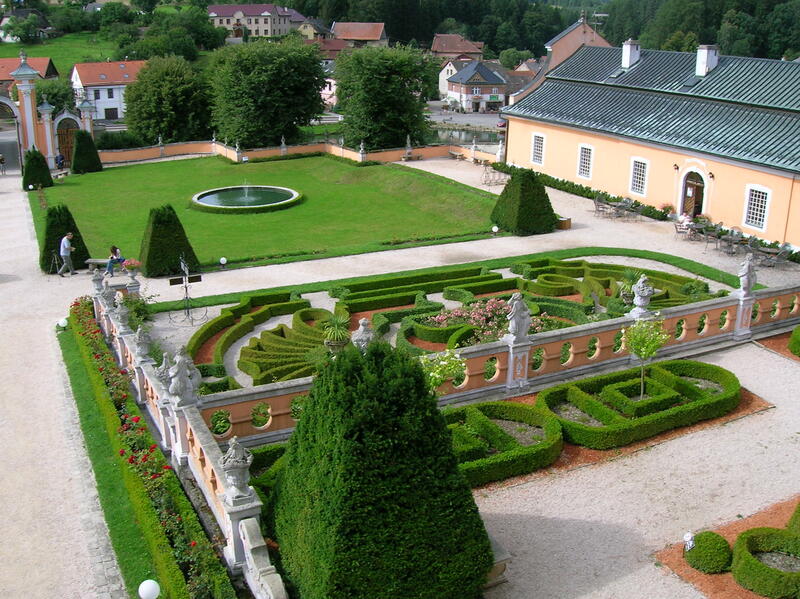 At that time, Buchlov was royal property, but Moravian noble families were put in charge of it. The design of the Early Gothic chapel, forged in the 1370s, was inspired by Sainte-Chapelle Chapel in Paris. Unfortunately, it was mostly destroyed by Hungarians in an attack during 1468 and later abolished. 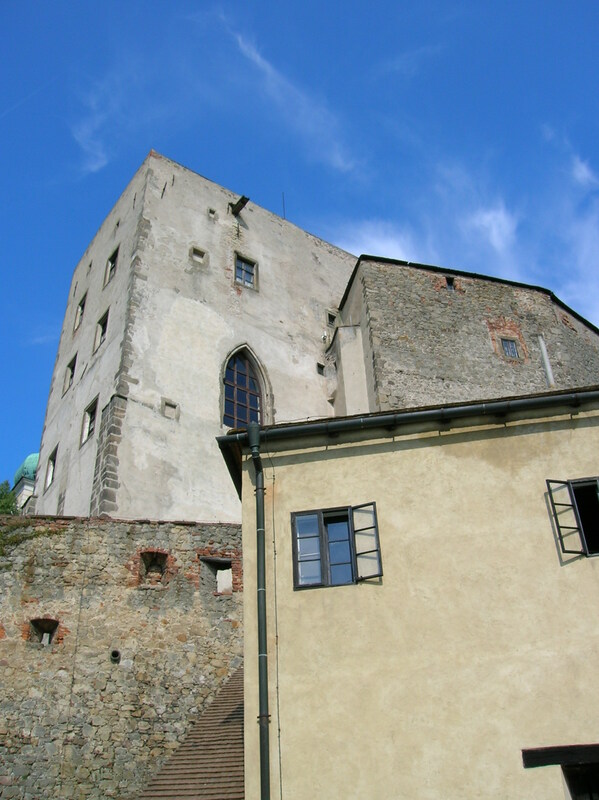 The first private owners of the castle were the Lords of Žerotín, who took it over in 1520. 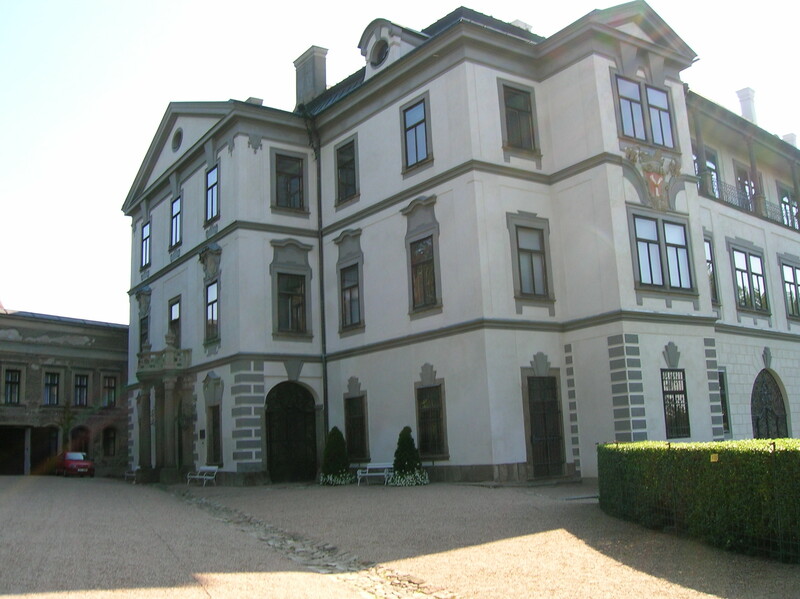 Their tenure at Buchlov was short-lived, however, and the Zástřizly nobility called it home for 100 years, from 1544 to 1644. During this era Renaissance reconstruction took place. In 1644 the Petřvalds came and would own Buchlov until 1800. 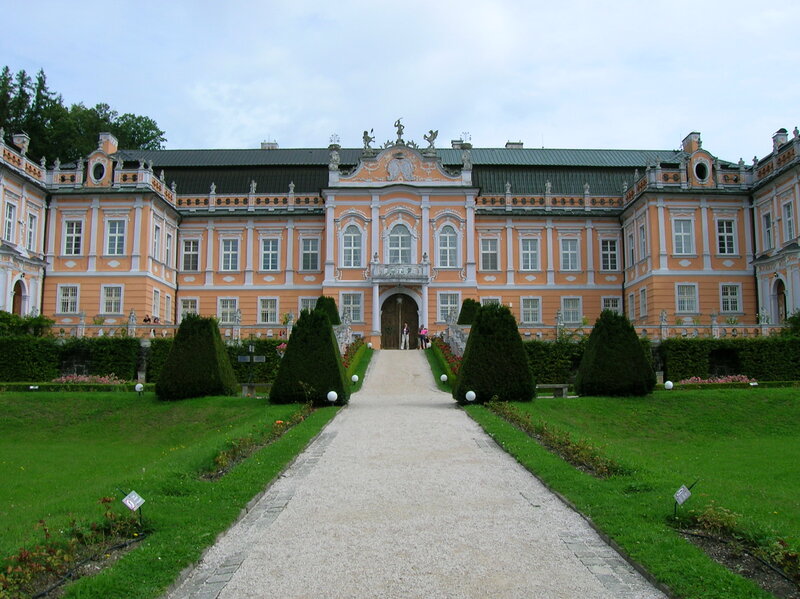 The Petřvald family made some Baroque changes in the 17th and 18th centuries. From 1800 the property was transferred to the counts of Berchtold, who would become major players in the castle’s history. 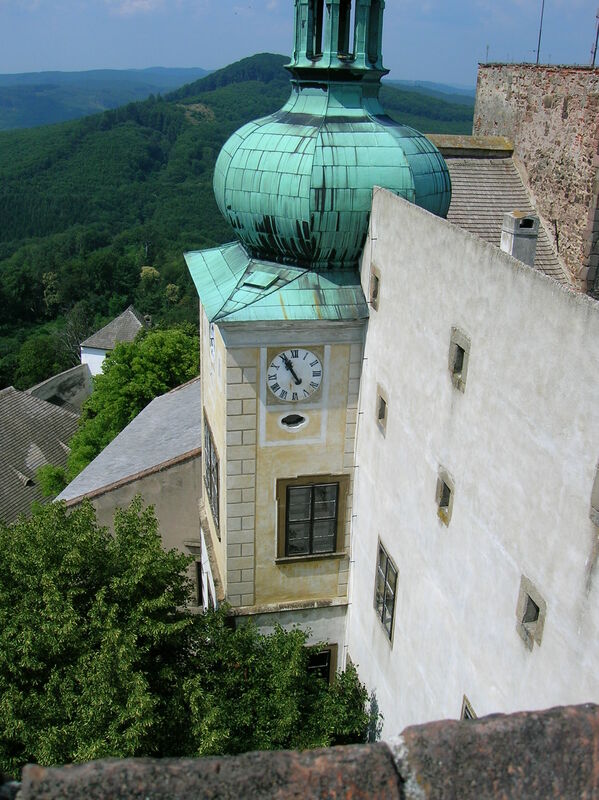 The two half-brothers Leopold I Berchtold and Dr. Bedřich Berchtold had been world travelers, and many of the souvenirs they had collected on their trips were displayed in the castle. Dr. Bedřich had another claim to fame: he had been the co-founder of the collection at Prague’s National Museum. The older brother, Leopold I, was known for setting up schools and a poor house, among other achievements. 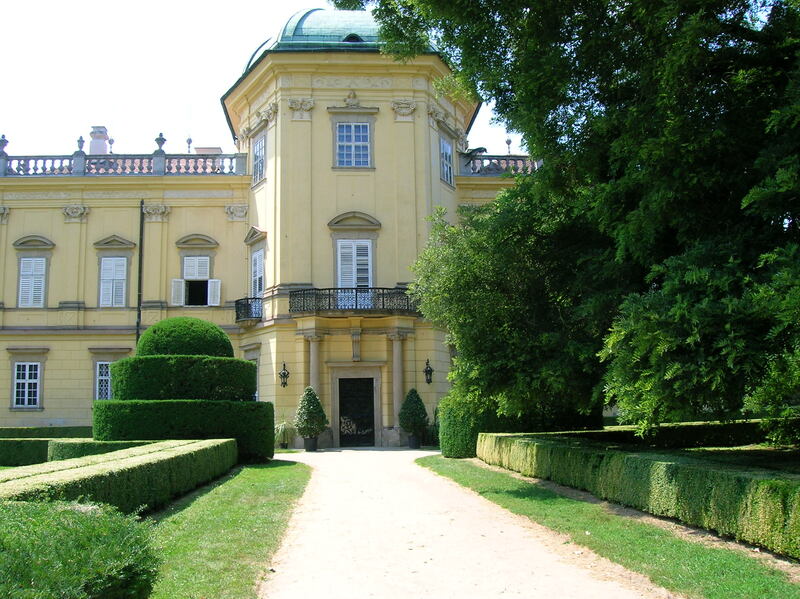 The family kept it until 1945, when the so-called Beneš decrees made it state property. The Beneš decrees stated that Germans, Nazi collaborators, traitors and others living in Czechoslovakia had to relinquish their Czechoslovak citizenship and property without compensation. The guide did not specify the reason why the Berchtolds had to give up the property, but I guessed it was because they had had German citizenship. Much reconstruction took place during the second half of the 20th century and into the 21st century. An intriguing legend is associated with the linden tree situated in front of the Dancing Hall, home to 18th century furnishings and Baroque portraits. According to the legend, some 400 years ago the tree was planted with its roots upward and its crown in the ground. It was said to be proof that a man sentenced to death for poaching was really innocent. After passing through a gate hailing from the middle of the 16th century, our group arrived at the third courtyard. In the black kitchen I marveled at the oldest architectural feature in the castle – the Late Romanesque arch dating back to 1340s. The pots and utensils were copies of those used in the Middle Ages. The armory offered an intriguing perspective on the battle-ridden history of the castle. Some weapons dated back to 1421, when the Hussites tried to conquer Buchlov, and others hailed from the 17th century Thirty Years’ War when the Swedes did much damage. Buchlov survived that war only because a ransom was paid. There were weapons from all over the world – from Asia as well as Central and South America, for example. On the first floor we entered the Baroque library, which was home to about 10,000 volumes. Books that promoted Protestantism were removed after the Thirty Years’ War Battle of White Mountain in Prague during 1620. The Bohemian Protestant rebels were defeated by the armies of Holy Roman Emperor Ferdinand II, who was devoutly Catholic, and the German Catholic League. In the early 17th century the majority of the Bohemian nobility had been Protestant. When die-hard Catholic Ferdinand II was crowned Holy Roman Emperor and King of Bohemia, it meant serious trouble for the Protestants. After the Battle of White Mountain, the Czechs would find themselves under Habsburg rule, and German would become the prominent language of the lands. The books in Czech mostly came from the Czech National Revival, an 18th and 19th century movement that strived to promote the Czech language, Czech culture and national identity. I saw an intriguing architectural detail of an Early Gothic portal where the chapel from the 1370s was situated, now an empty space with spectacular views of the countryside. Then we came to the Buchlov Madonna, whose expression seemed to be asking, “Is this kid mine?” The statue dated from the first half of the 14th century. Another Madonna appeared to be trying to keep her son from wriggling away. There was also a rendition called “The Last Supper of the Lord,” a double-sided painting, part of a winged altar, which is composed of a central panel and two side panels. It dated from the end of the 15th century. It always astonished me that artifacts from the 14th or 15th century could survive to the present day. It fascinated me how they were tangible connections with the distant past. The Knights’ Hall featured cross vaulting and reticulated vaulting. These architectural elements were decorated with the coats-of-arms of significant Moravian clans. Then we came to a room decorated with an ornate tiled stove that flaunted cherubs and floral motifs in brown, green, yellow and white. A complete knight’s armor from the 16th century weighed 30 kilograms. I could not imagine wearing it. I do not think I would even be able to stand up in that armor. I was intrigued by the calendar from the Middle Ages. I learned that February of 1693 had had 31 days. The next section was the castle museum. 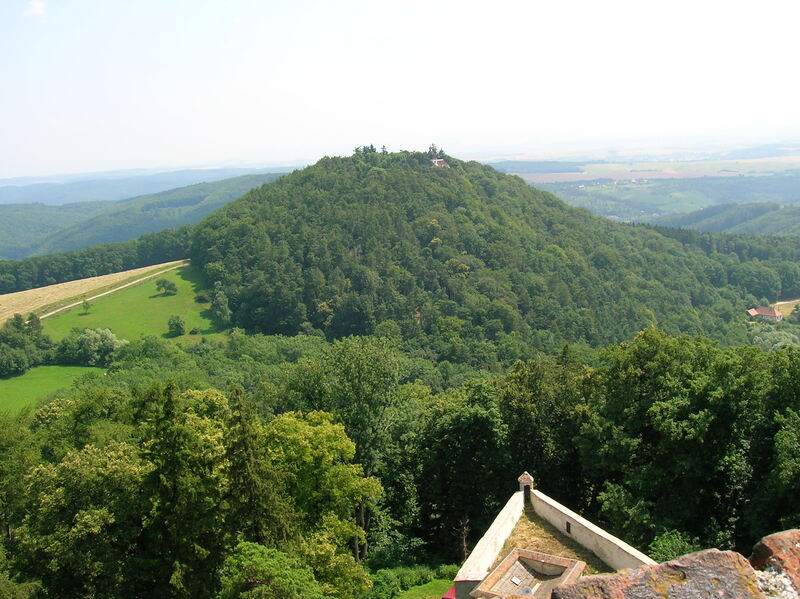 It had been opened by Count Zikmund I Berchtold in 1856. Zikmund I had revolted against the Habsburgs in Hungary during 1848 and 1849. The rebellion was unsuccessful, and he got the death penalty. The court reduced his sentence to house arrest for life, so he organized the family museum. I saw plumed helmets, weapons of American Indians and the skins of a zebra, polar bear, grizzly bear and alligators. There were also human skeletons and a collection of shoes ranging from sandals to boots. In a jar was an embryo of a baby pig with eight legs and two tails. It made me think back to the revolting human embryos that Peter the Great had collected, now gathered in Saint Petersburg. My stomach had violently churned when I had seen them during that freezing April morning several years ago. 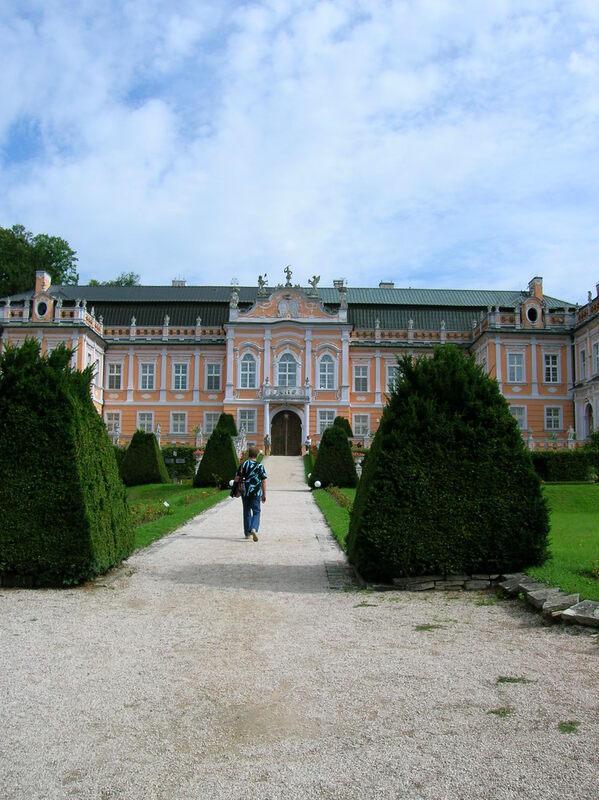 Then the guide explained that after the Battle of Slavkov in 1805 the nearby Buchlovice Chateau had been used as a hospital where military personnel and civilians had received free medical attention. Leopold I Berchtold caught typhus there and died at the relatively young age of 50. On the wall was a picture of a woman in the third stage of syphilis. She had large empty sockets for eyes, and her nose was black. Her teeth made her look sinister and dangerous. It was absolutely horrifying. She looked like a monster, not like a human being. I thought of people with cancer and how the horrible disease could make people look so emaciated. I felt lucky that I did not have cancer and that my father had survived two bouts with the terrifying illness. I knew I would keep the image of that woman, stripped of human dignity, in my mind for a long time. The next room was totally different. It featured an Egyptian mummy in a coffin made of cedar wood. It was about 2,300 years old. The illusive wall painting dated from the first half of the 19th century and made me feel as though I was inside an Egyptian tomb. 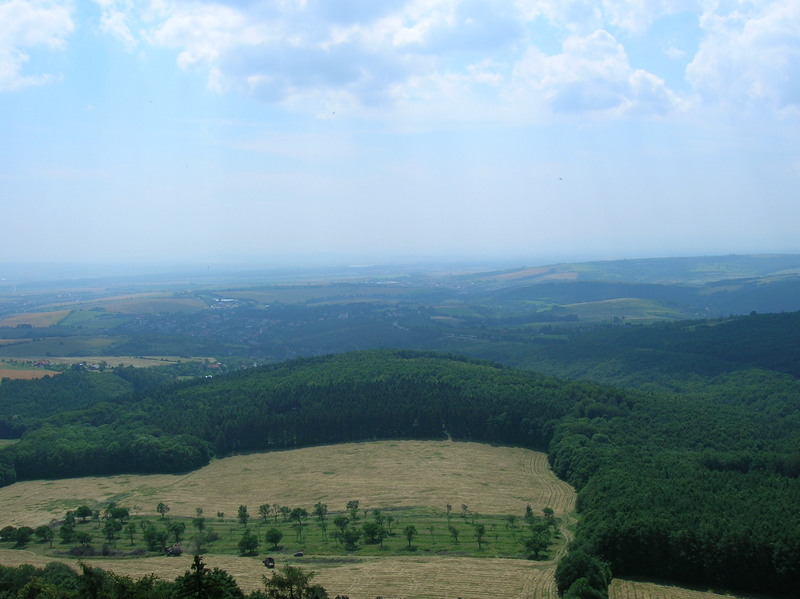 Last, we climbed the tower and saw astounding views of the south and east Moravian countryside. I could also see the church where the family tomb of the Petřvalds and Berchtolds was located, but it was not nearby, and we did not go there. We descended many steps and came to the locked door. For a moment I was disoriented and lost sight of the guide. Then he appeared and opened the door with one of his many large keys. We all filed out, into the sunshine. When I turned around to thank the guide, he had disappeared. My driver came for me, and soon I was back in Buchlovice, standing at the bus sign on the highway as car after car sped by me. The bus did arrive on time, though, and before long I was back in Brno. Tracy A. Burns is a writer, proofreader and editor living in Prague, Czech Republic. The direct bus from Prague to Velké Meziříčí – believe it or not – arrived early: It got in at 8:45 instead of the scheduled 8:55, and on a weekday, too. 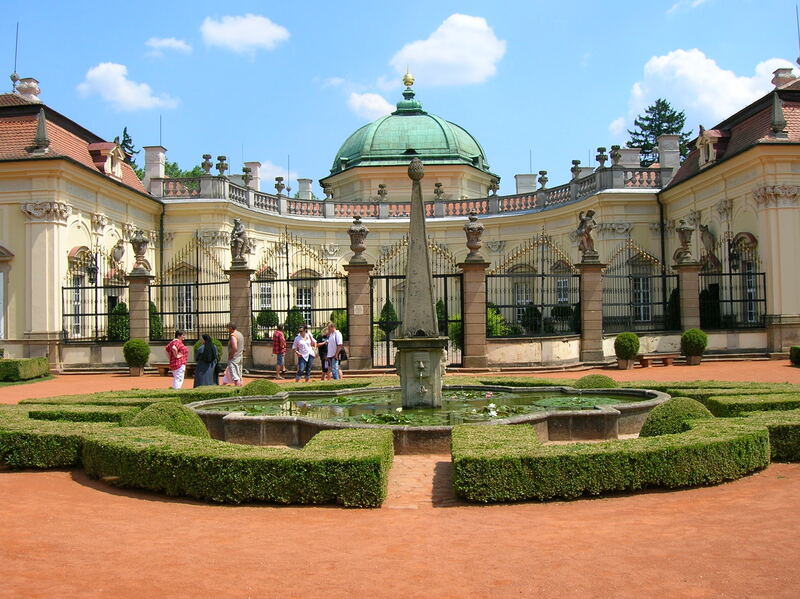 Almost two hours from Prague, the south Moravian town is on the bus routes to Jihlava and Brno. Historical events also took place here. 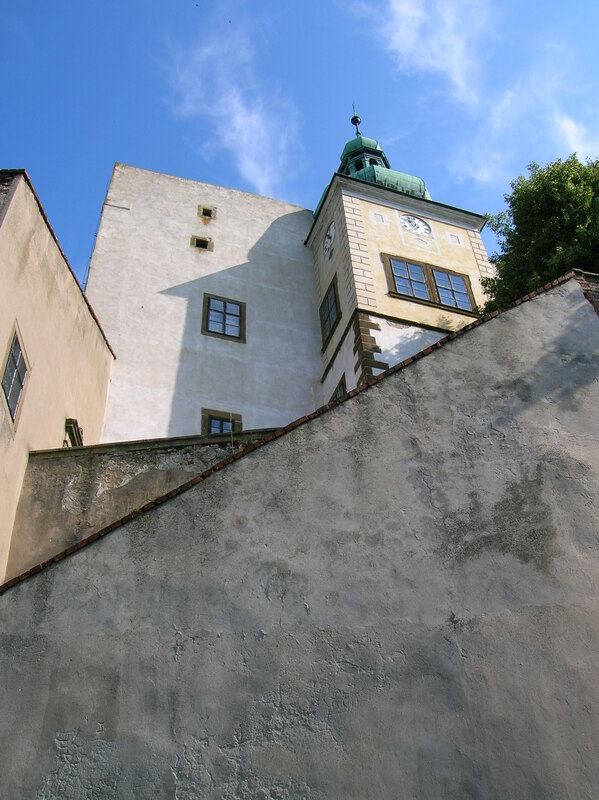 In August of 1415, chateau owner Lacek of Kravaře ushered Moravian nobility to the chateau, trying to convince them to sign a protest against the incarceration of legendary Czech priest, philosopher and reformer, Jan Hus, who had been accused of heresy against the Catholic Church. The chateau went through several renovations. 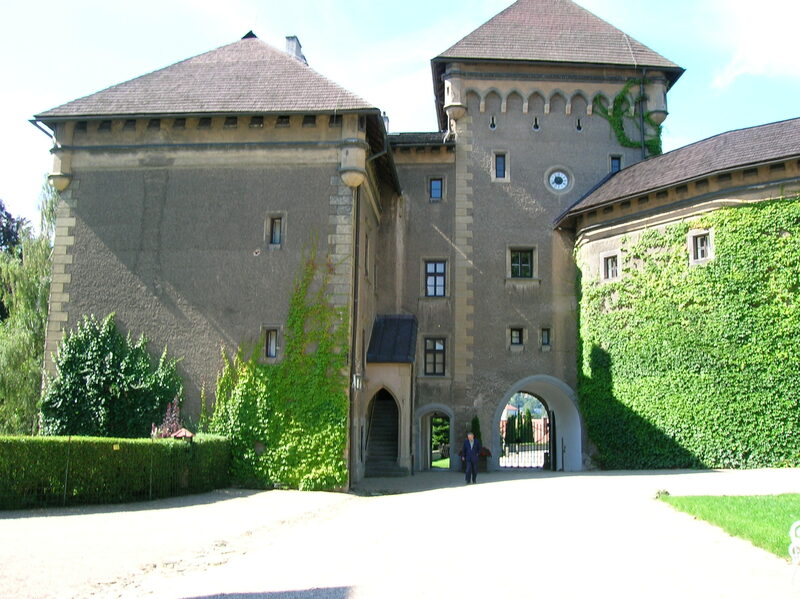 It was Jan the Younger from Meziříčí who changed it from a Roman Gothic castle to a Renaissance chateau in the 16th century. 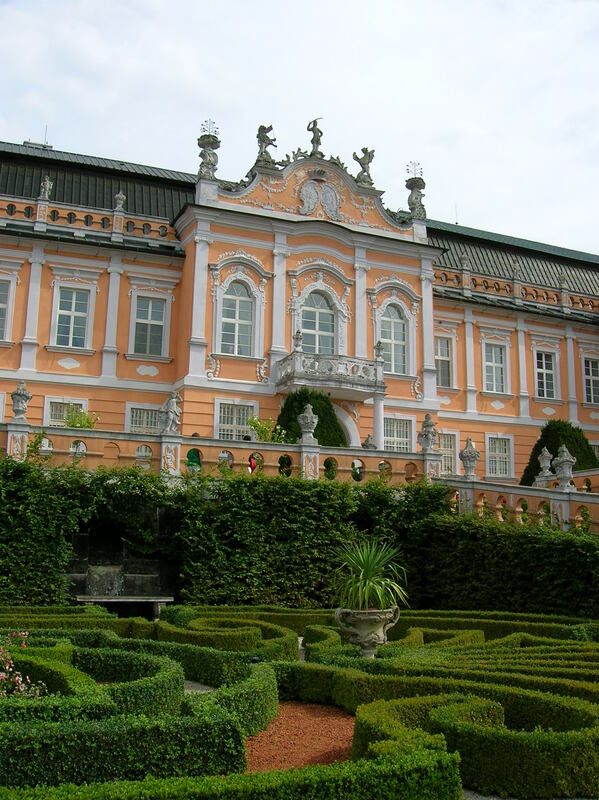 Later, in 1733, Baroque elements were added. 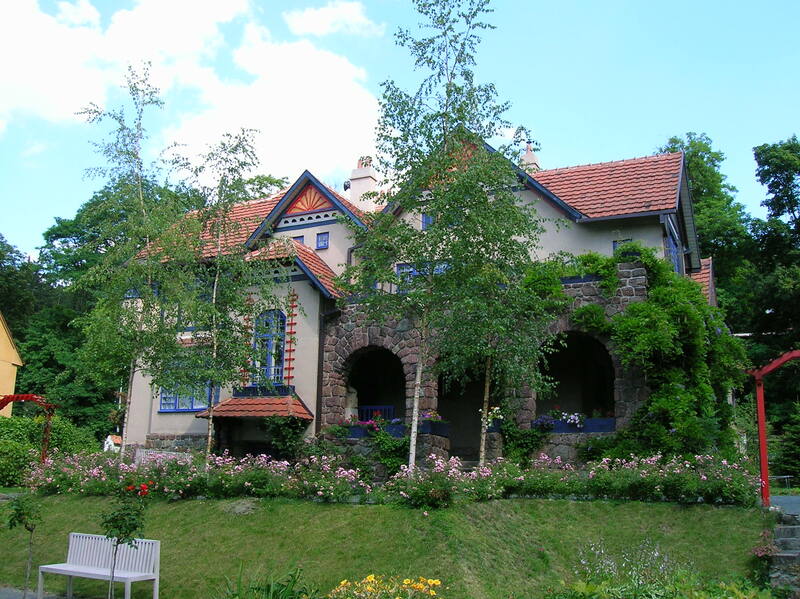 Owner Rudolf Lobkowicz gave the chateau a Neo-Gothic flair. Other former owners made their mark in the chateau’s history as well. For example, Marie Eleanora Liechtensteinová also served as Lady of the Bedchamber for Holy Roman Empress and Sovereign of Bohemia Maria Theresa of Austria. She became a close friend of the Empress’ daughter, French Queen and Navarre Queen Marie Antoinette, who also was the Archduchess of Austria. During the 18th century French Revolution, Marie Antoinette gave her good friend her exquisite, wooden desk. The chateau also obtained Empress Maria Theresa’s unique, black glass funereal necklace, which she had worn after her husband, František Štěpán Lotrinský, died. I was enamored with both items in the former Dancing Hall. Former owners Rudolf Lobkowicz and František Harrach were world travelers, bringing back souvenirs from Asia, for example. These are displayed in the Oriental Salon. Some objects from Japan that caught my attention included a black and gold wardrobe, a jewelry box for traveling and a red chest. I also saw silk-topped paintings. The picture of a pagoda was exquisite. A precious Baroque table was decorated with a picture of the town. Known as a collector, traveler, poet, press editor and economist, Harrach was also an aide to Archduke Ferdinand Karl Joseph of Austria-Este, better known as Archduke Ferdinand d’Este. In September of 1909, Harrach hosted d’Este plus Emperor of Austria and King of Bohemia Franz Joseph I and German Emperor and Prussian King Wilhelm II as well as other historical figures during military field maneuvers. The bedroom where Emperor Franz Joseph I slept was one of the many highlights of the tour. I marveled at the ornate wooden décor of the bed frame and gazed at Emperor Franz Joseph’s portrait hanging nearby. But perhaps Harrach is better known for his participation in one particular historical event. When Archduke Ferdinand d’Este was assassinated in Sarajevo on June 28, 1914, Harrach was sitting next to him but escaped injury. Harrach swabbed blood from Ferdinand’s fatal wound with his handkerchief, and at the chateau I saw the blood on a white background in a black frame marked with the date and year of the tragedy. That was the most impressive feature of the Serbian Salon, which also was home to many photos of Archduke Ferdinand d´Este and Emperor Franz Joseph I. When Harrach died, his daughter Josefa inherited the chateau, but she was forced to emigrate in 1948, after the February Communist coup. 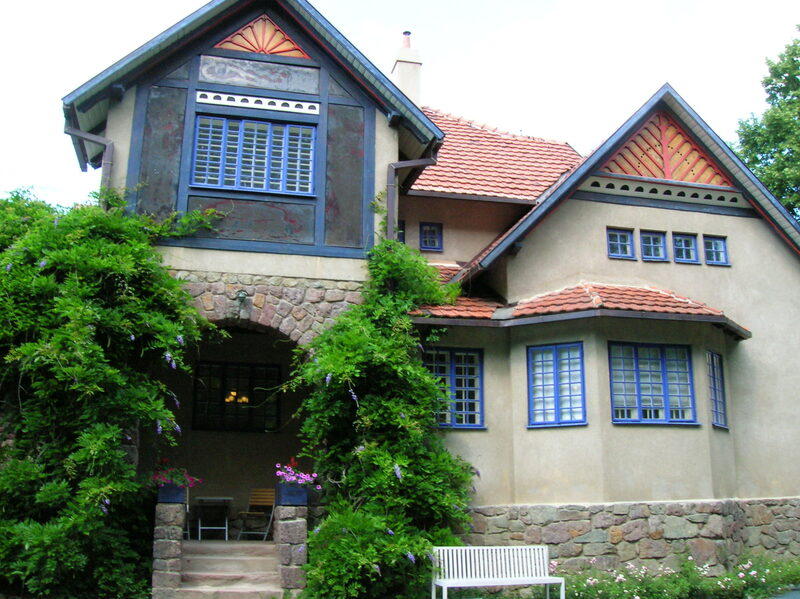 The chateau was nationalized and served various functions in the 20th century – it has been and still is a museum; it also has served as a state archive and a maternity hospital. In 1995 the chateau was returned to the family. Now Josefa’s three sons look after it. Other items that particularly impressed me were the life-size portraits of nobles on the landing. I felt as if the portraits could swallow me up. Three coats-of-arms with Baroque golden frames also enriched the landing. The Men’s Salon featured an exquisite brown tapestry of leaves, fruit and branches as well as a jewel box made of tortoise shell and silver. A unique stand for cigars also decorated the room. The chandelier was unique as well – it was made out of deer antlers and brass. The former Dancing Hall held more treasures than Marie Antoinette’s desk and Maria Theresa’s necklace. I also saw Rococo furniture and a Baroque black closet decorated with ivory. The Rococo Dining Room was light and airy and used for concerts. 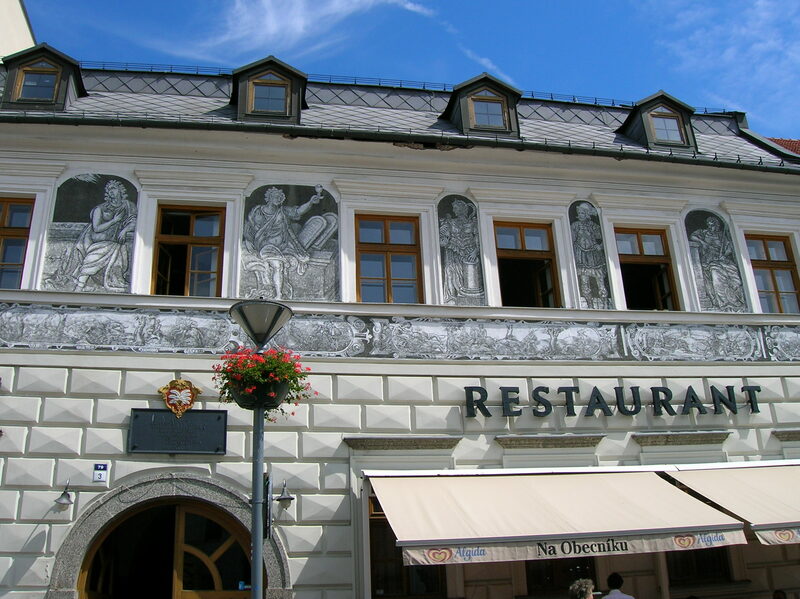 The frescoes on the walls showed Czech streams, bridges and cottages, a sort of idyllic country life. Another fresco portrayed the chateau in Baroque style and still another depicted a town celebration. I gaped at the Venetian chandelier. It had diamond-shaped glass pieces. I loved Venetian chandeliers! Then I came to the museum section of the chateau. I was impressed that the museum hosted a very eclectic collection of items. With displays ranging from Cubist furniture to town life during the last 600 years, every room held a different surprise. In the hallway there was an intriguing sculpture exhibition by Velké Meziříčí native Jiří Marek, who lived from 1914 to 1993. His large wooden figures twisted in agony. I could almost feel the pain portrayed in the sculptures. The pain was almost tangible. In one sculpture Marek had created a limp hand so realistically. His figures reminded me somewhat of those created by legendary Czech sculptors Frantisek Bílek and Franta Uprka. In the Velké Mezíříčí town exposition the uniform top of the Pioneers Communist youth organization from the 1980s got my undivided attention. In a display case was a light blue shirt with a red scarf that I have come to associate so well with the Pioneers’ organization. Because I hadn’t experienced Communism, the uniform shirt captivated me. I wondered if the parents of the child who had worn these clothes had actually believed in Communist ideology or if they had dressed their child this way out of fear. The exposition also showed what kind of clothes townspeople wore during the 19th century and what sort of furniture could have been found in their homes. 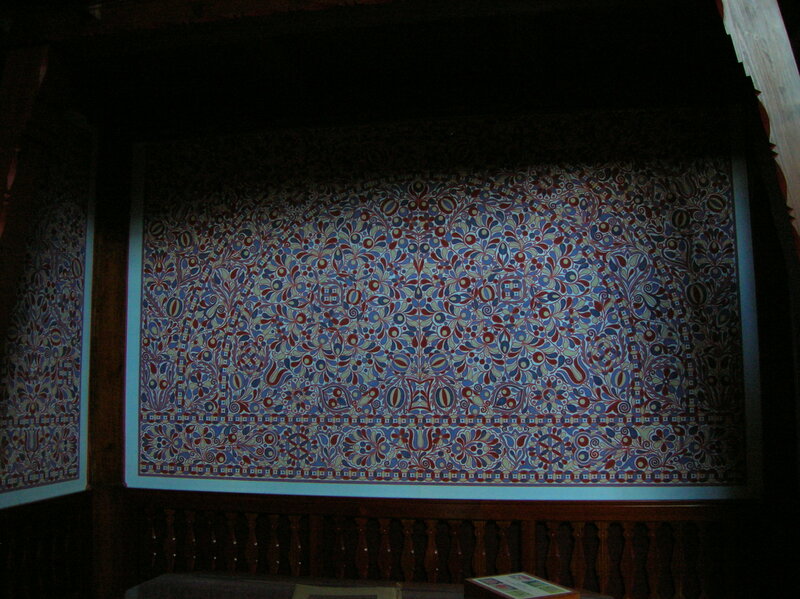 Tapestries depicting scenes from town life hung on the walls. Soon I came to the Cubist rooms – a Cubist living room in one space and a bedroom of that style in another. The Cubist furniture was designed by well-known architect Pavel Janák and the famous Artěl group in Prague for a prominent Czech mathematician and physicist. Janák’s box with a top, its black stripes on white almost hypnotizing me, was in one display case. What impressed me the most was the Cubist couch. The back was composed of three triangular shapes, the middle one at a different angle than the outer two. Then I made my way to the Jewish synagogue, which was strongly advertised on the town’s Web pages. 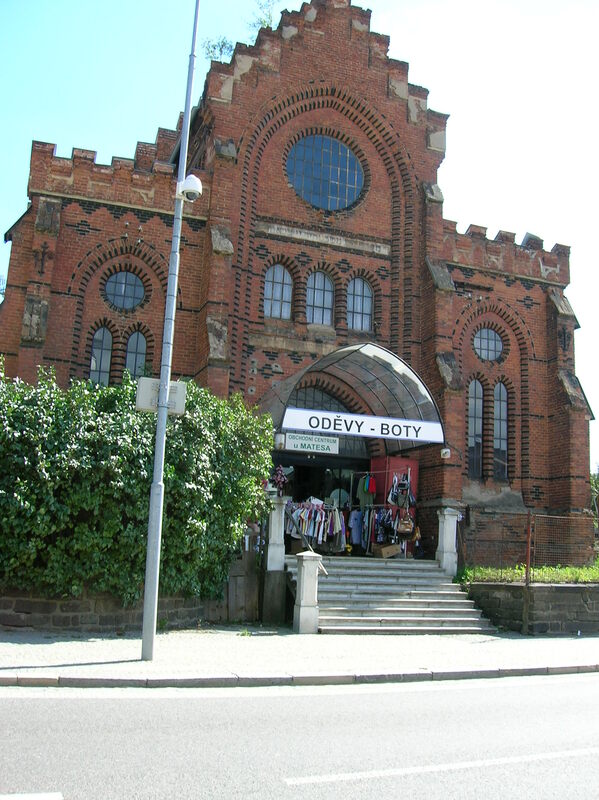 (Later I found out the advertised synagogue was a different one, which is now used as an exhibition space.) The red brick façade was beautiful, but the inside was a disappointment. Vietnamese sold their goods in the interior, as row upon row of cheap clothing littered the spaces. I saw a straw hat with the words The Czech Republic written on the brim and packs of underwear as well as backpacks hanging from a wall. I had expected that this synagogue would be a sort of museum open to the public, possibly with tours and information about Jewish life in the town. I soon left the synagogue and continued toward the main square. On the main square there was a quaint church, an impressive town hall and stunning sgraffito on the façade of several buildings. I ate lunch – turkey in some gross-looking but thankfully tasteless sauce – in a garden restaurant where the service was slow. Then I headed back to the bus station to get the one o’clock back to Prague. I was the only person at the stop, which made me wonder if I was standing in the right place. I became nervous. When the bus didn’t show up by 1:10 pm, I was worried. It did come, though, at 1:20 pm, and soon I was on my way home, with fond memories of the chateau’s representative rooms and the diverse displays of its museum.